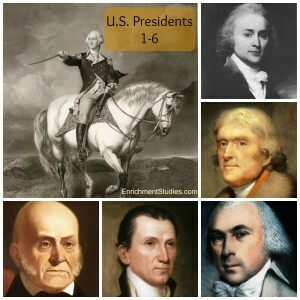 We’ve combed the internet to find the best available free resources about each president, reviewed them for their educational value, and have previewed everything to make sure that any potentially objectionable content is known to parents in advance so you can determine appropriateness for your own children. These will be great as a stand-alone supplement for your kids that need or want more to learn about, or while used in conjunction with your regular history curriculum. Each resource has a good amount of quality videos, too, which are helpful for pre-readers as well as dyslexic kids and others that struggle with reading. We have found these resources invaluable for quick, safe research for papers and projects as well! 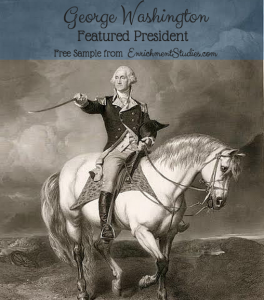 You can check out our George Washington resource here. 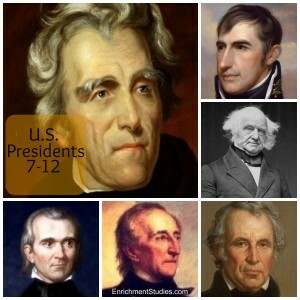 All of our President resources are formatted the same way, and are accessible in a members-only area. Each resource page includes items that will be of interest to all of your children, from K-12, and has plenty of videos to make learning engaging. If you have pre-readers or kids that struggle with reading, the videos are especially helpful in increasing learning without adding frustration! This group of presidents takes us into early wars, expansion of the U.S., Indian relations, and slavery issues, so it’s an important group to learn about. 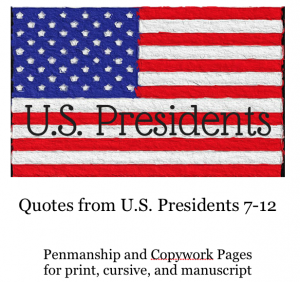 Quotes from U.S. Presidents is our new penmanship and copywork series! 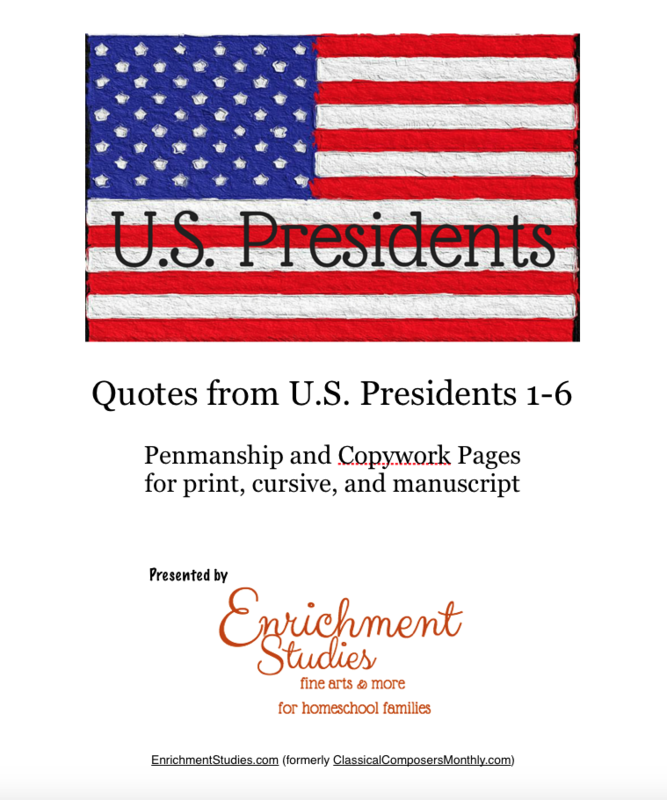 In these downloadable, printable ebooks your children will have lots of meaningful and interesting quotes to use while practicing their handwriting, copywork, or dictation. 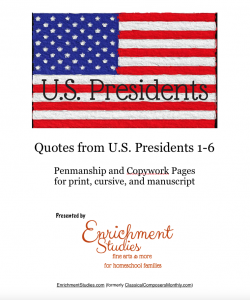 Quotes from Presidents includes practice for print, cursive, and D’Nealian manuscript styles. This will be a great resource for your family since you’ll be able to print all the copies you ever need for all of your children, in all of their stages of handwriting! All of the pages are done in black and white and won’t take a lot of ink, so it’ll be simple and super cost-effective for your entire homeschool journey. 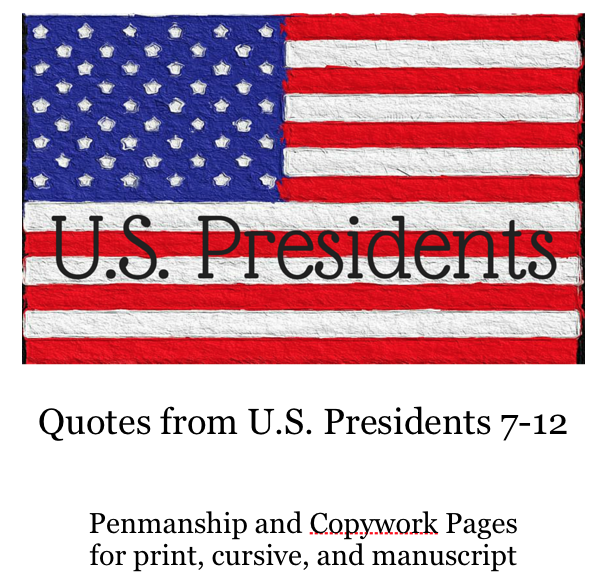 These ebooks include practice for print, cursive, and D’Nealian manuscript styles. This will be a great resource for your family since you’ll be able to print all the copies you ever need for all of your children, in all of their stages of handwriting! All of the pages are done in black and white and won’t take a lot of ink, so it’ll be simple and super cost-effective for your entire homeschool journey.